How does 0-60 in 3.5 seconds sound? We thought so. 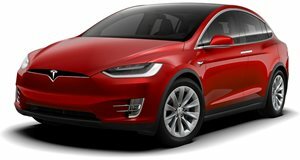 Tesla CEO Elon Musk loves to use to make some important announcements, the latest being the production of the very first dual-motor Model 3. Only one month has passed since the , so it’s pretty impressive production is already getting underway. Remember, the Model 3 itself has had many production issues causing too many delays, but this time it’s nice to see something proceeding on schedule. In fact, this appears to be ahead of schedule. Last month, Musk tweeted dual-motor Model 3 production will get underway in July. Musk snapped a photo and shared it on showing that first Model 3 Performance rolling off the line, complete with bright red paint, 20-inch wheels, a white interior, and red brake calipers. 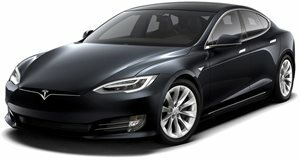 We should also remind you that the Model 3 Performance variant is separate from other dual-motor versions, as this one receives unique front and rear motors for some extra boost. How fast, exactly? a 0-60 mph time of 3.5 seconds, a 155 mph top speed, and a 310-mile range per charge. Supposedly, this thing will “beat anything in its class on the track” and will be 15 percent quicker than a BMW M3, according to Musk. It’ll supposedly have better handling than its rivals as well. Price? Without Autopilot, you’re looking at $78,000 in change. Another positive sign that Model 3 production, in general, is now on track is the fact this new version of the electric car was built on a new assembly line at Tesla’s factory in Fremont, California. Translation: Model 3 production capacity increase. Hopefully this means the previously stated goal of 5,000 units per month will soon be doable.